Our Nalgene™ narrow-mouth PPCO (polypropylene copolymer) bottles feature excellent clarity as well as impact and chemical resistance. 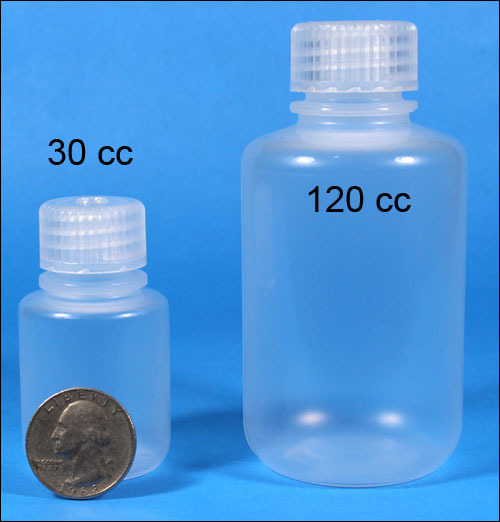 These bottles have a robust construction for packaging use and are featured with polypropylene closures. Use only the cap provided to ensure leakproof performance. Bottles and caps are autoclavable up to 275 F / 135 C.